The beauty of a Bellingham weekend adventure is that, while you drive no more than 90 minutes one way, you can reach a number of places that make you feel as if you’ve disappeared into a faraway land of silent forests and ancient trails, blanketing famous peaks like Mt. Baker, Mt. 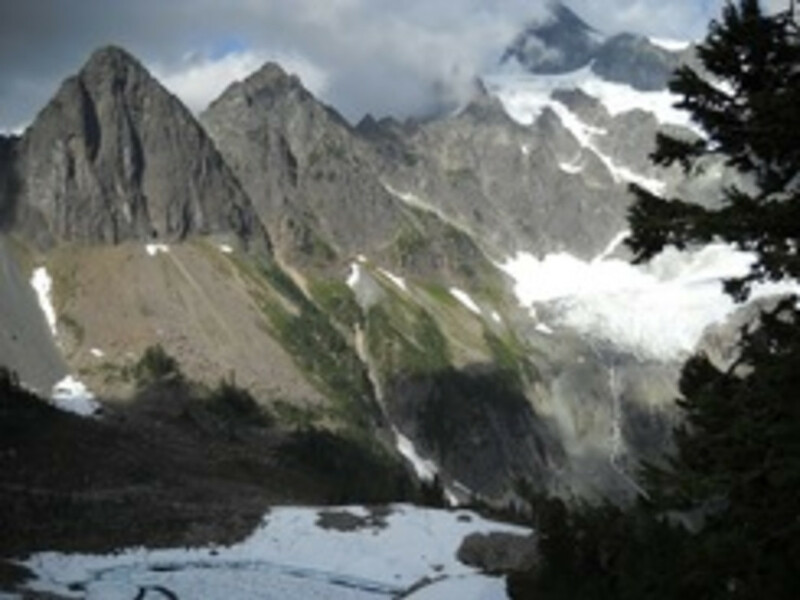 Shuksan, and the rest of the Northern Cascades. Or perhaps the beauty is in the cards: go ahead, pick a card, any card. Like a deck of cards, Highway 542 offers access to a different trail or a different summit at nearly every turn the farther you drive. Not only are the options seemingly endless, the trailheads are all just minutes apart so that you can pick a number of trails to conquer as you venture up the road. So, if you’ve found yourself with an empty weekend, here’s an Insider’s Guide to sneaking out of Bellingham on the 542, and coming back to work on Monday with the weekend adventure trump card. There's no real need to leave Friday night; the drive is short, and the summer days are long. An early start will be rewarded with sunrise lit glimpses of Mt. Baker as you head east on Highway 542. As you pass through the small town of Glacier, snag this chance to pull over and grab a great cup of coffee. Just a block off of the highway as it bisects the town, visit Wake and Bakery. A local’s favorite, so much good is crammed into such a little space. The pastries and cookies are fantastic, but the real score is the breakfast burrito. 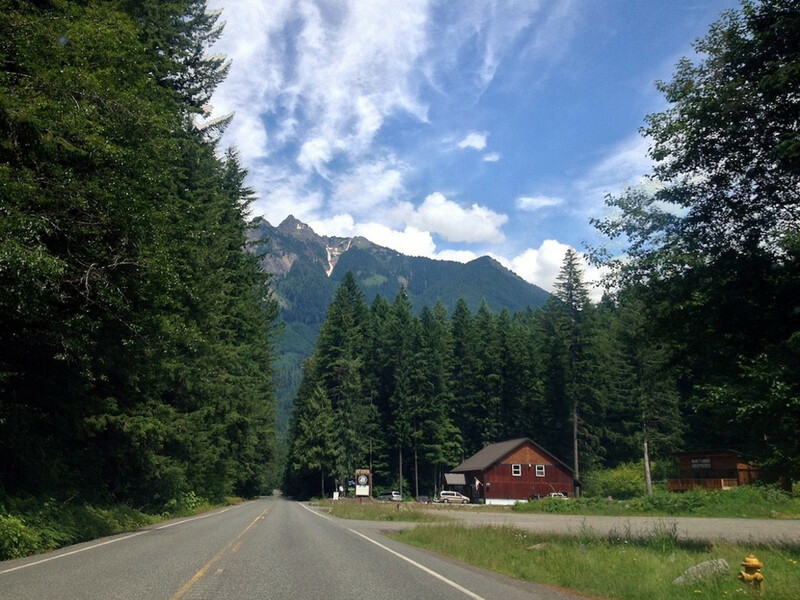 Keep heading east through the town as the road winds along the Nooksack River’s northern fork. You’ll be tempted to pull over and explore the amazing blue ribbon of meltwater flowing west, and luckily, every mile or so offers a dirt pull out. Pick your choice, hop out of the car, and scramble down the trail to wade in the mellow sections of the river. Like to fish? Pick up a permit and spend an hour or two fishing from the shallows and enjoying a small picnic lunch on the shore before hopping back in the car. By now it’s just after noon, and you’ve decided to let the 542 carry you past all the many forest roads and take you to the end, where the Lake Ann Trailhead is waiting for you. Drive up the switchbacks and pass the Mt. Baker Ski Resort. A little more than a mile further and you’ll find the Austin Pass parking lot on the left. From here, shoulder your packs, and hit the trail. Be prepared to hike through some snow, but nothing too serious. Departing at 4,700 feet above sea level, you quickly drop into the Swift Creek valley. It’s roughly 2.5 miles of zigzagging through the trees. Take a left at the fork and continue on the Lake Ann Trail as you start to climb back out of the valley, through trees and meadows, until you reach the saddle. 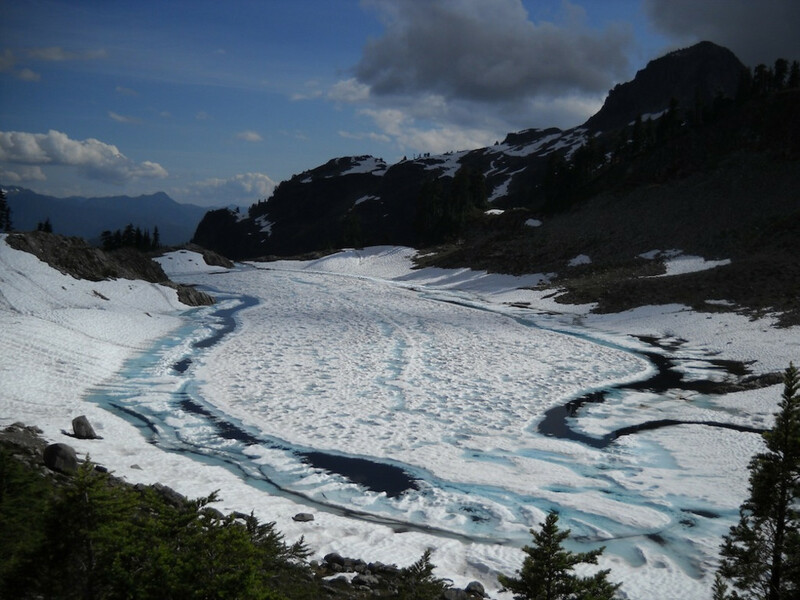 Beneath you, nestled in the shadow of Mount Shuksan, are the lakeside campsites. Set up camp and enjoy the night, laying back in your hammock or tent and resting with a book in hand after a well-earned 4-mile trek. 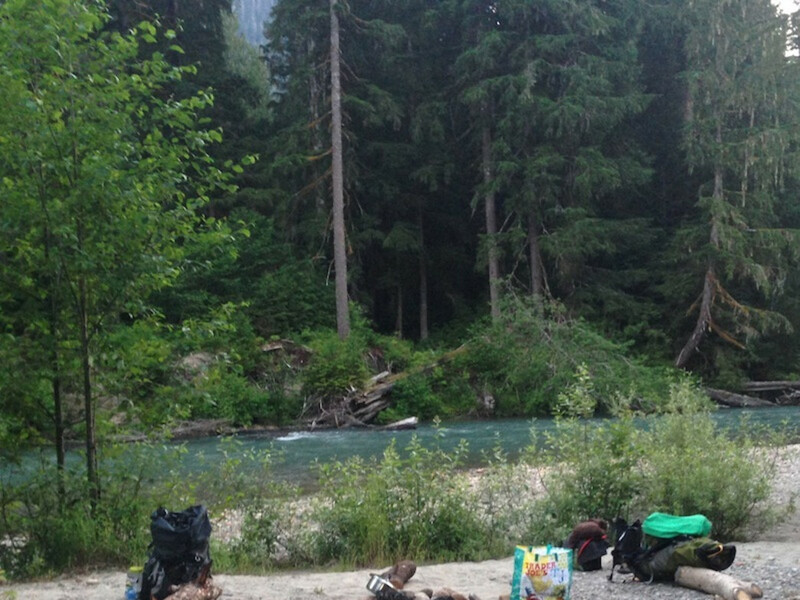 There’s nothing quite like waking up with the sun, cradled at the base of Mount Shuksan. There’s no rush to pack up. Wander around the trails and lake, exploring the surrounding area. It’s unbelievable to realize Bellingham is only a 90-minute drive from this tranquil haven. Break down camp and take your time heading back to the car. When it’s all said and done, you’ll have hiked 8 miles round-trip and pushed through 1800 feet of elevation gain. But it’s all worth it when you get to sleep at the foot of a mountain. And it's a refreshing alternative to your typical weekend. As you’re driving home, take your time and grab a burger and beer at Chair 9. Heading back west, it’s on your left just before downtown Glacier. Chair 9 has great entrees, burgers, specialty pizzas, and more, and is one of the most well-liked post-skiing stops after a long day on the mountain. It may not be winter, but Chair 9 is always serving the starving mountain adventurers as they head home.